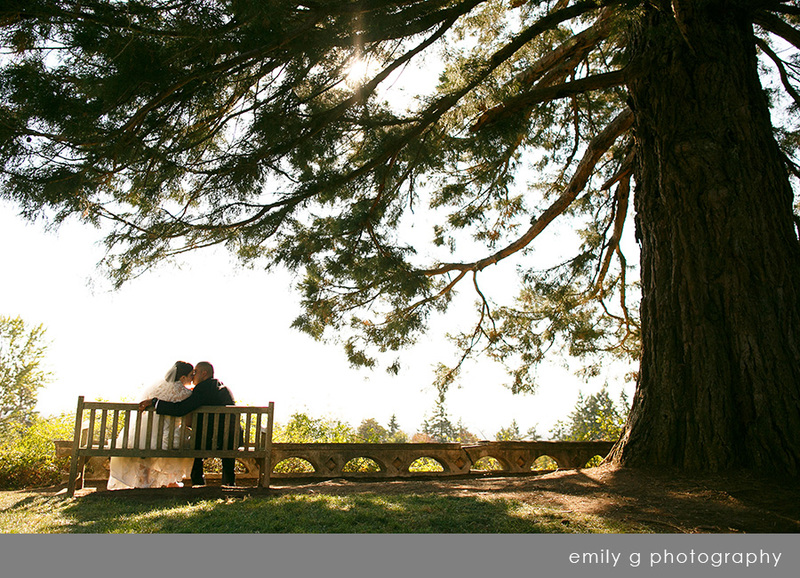 Wedding planning with Rachel was such great fun! 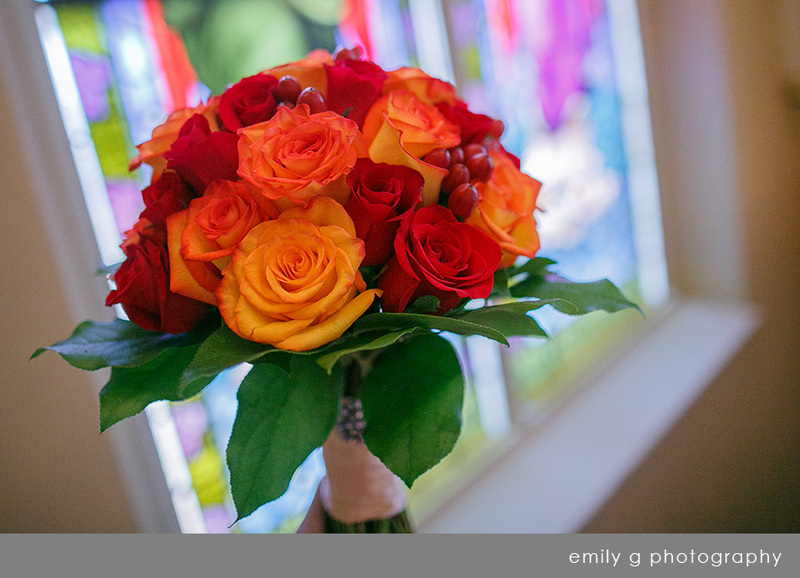 Rachel’s sister, Erin, was a Bridal Bliss bride and I was thrilled to have the opportunity to work with Rachel to plan her wedding. 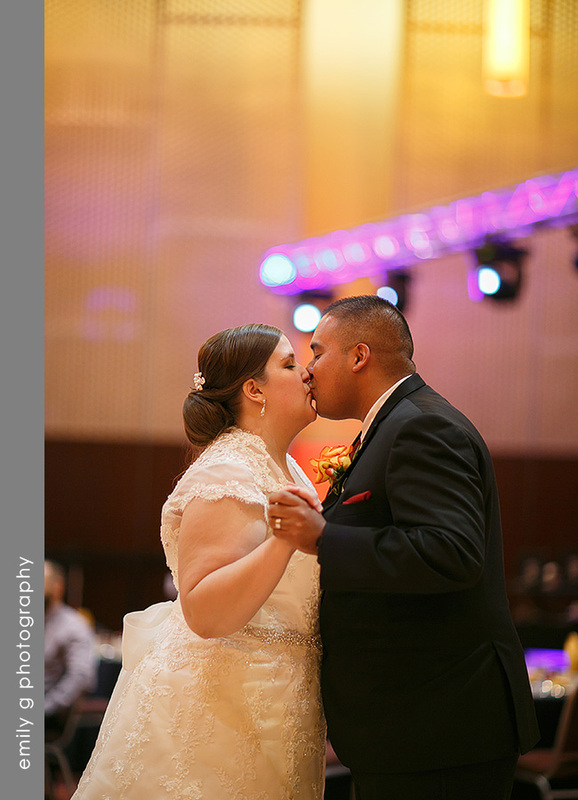 Rachel and Roland chose to have a fall wedding, and their day could not have been more perfect! It was one of those beautifully crisp sunny autumn days, just a week after all the leaves started flashing their brilliant crimson, cadmium and gold hues. 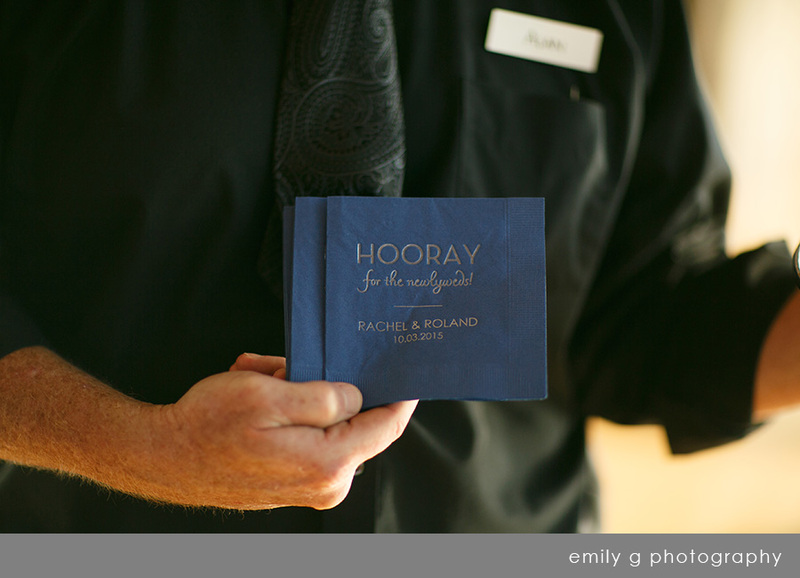 Rachel selected navy blue to contrast with all the fall colors and it provided a sensational palette for their wedding. St Mary’s Catholic Church in Mount Angel must be one of the most magnificent churches in Oregon, and Rachel and Roland were married in a beautiful mass by the parish priest. 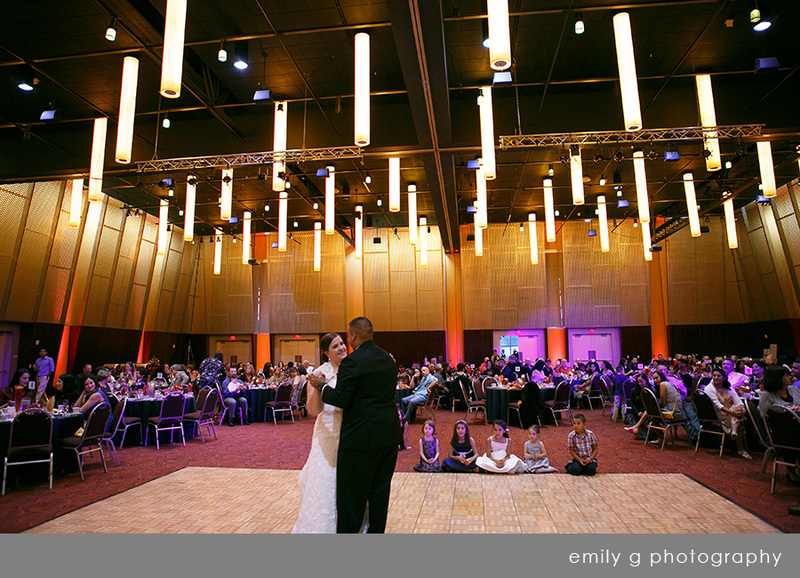 They hosted their reception at the Salem Convention Center, one of the few venues large enough to accommodate all their family and friends for the celebration! Against the navy table linens the napkins ranged from reds through oranges to yellow and gold in an ombre wave across the room, and hundreds of candles made everything glow and sparkle. 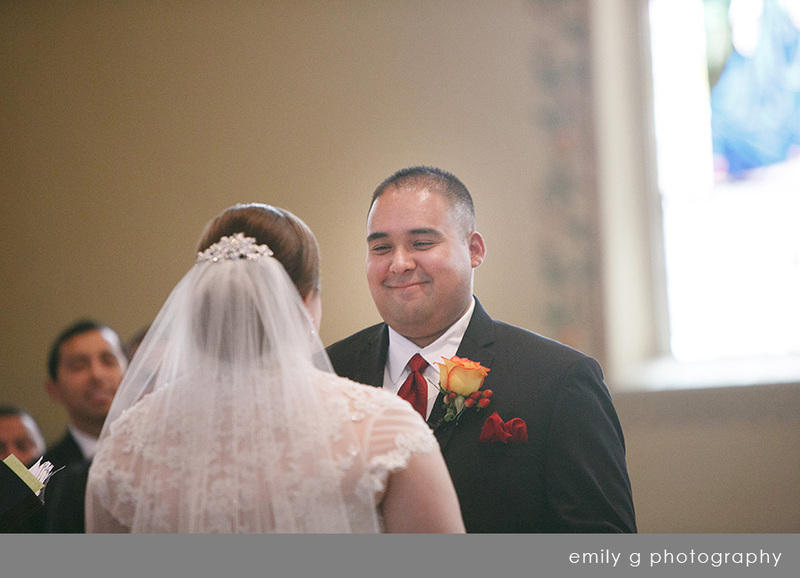 A family friend was their DJ and he brought an irresistible Latin flair that had all the guests dancing, and the sweet speeches from the bride and groom’s sisters had us all tearing up. It was a marvelous day. 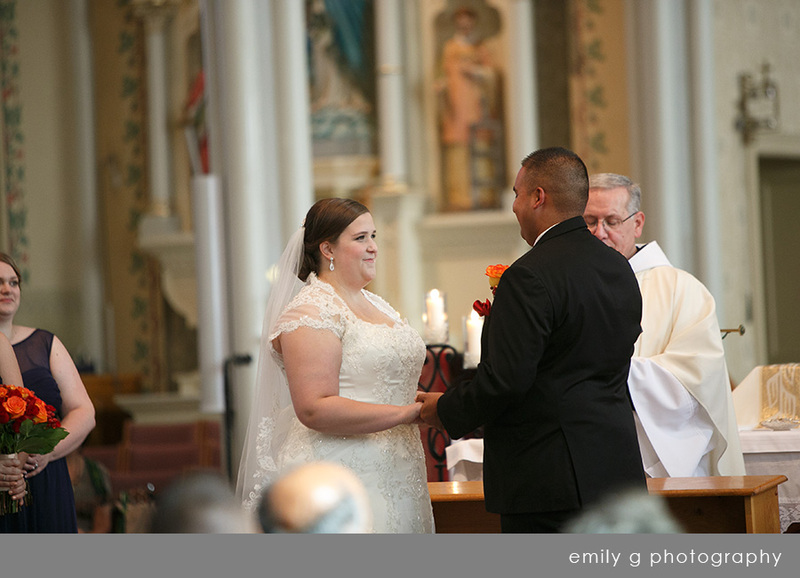 Congratulations again, Rachel and Roland!